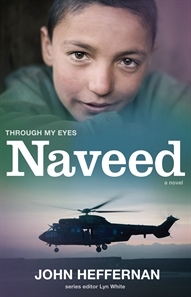 Naveed is sick of war – of the foreign powers and the Taliban, the warlords and the drug barons that together have torn Afghanistan apart. He’s had to grow up quickly to take care of his widowed mother and little sister, making what little money he can doing odd jobs and selling at the markets. When he adopts Nasera, a street dog with extraordinary abilities, he has a chance to help rebuild his country. But will a new friend’s betrayal crush his dreams of peace forever?